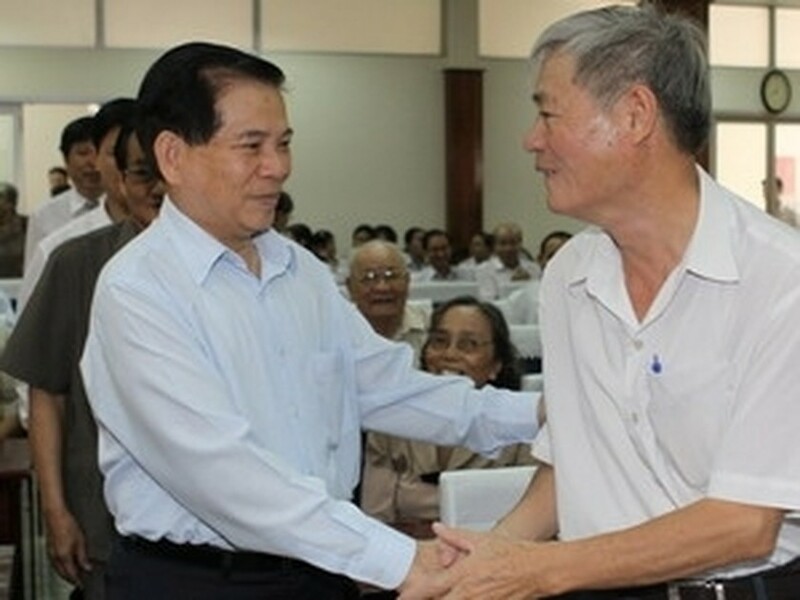 President Nguyen Minh Triet welcomed voters of Ho Chi Minh City’s precincts 1 and 2 for their opinions given to law building during his meeting on May 4 to prepare for the 7th session of the 12th legislature scheduled on May 20. Two-thirds of the voters focused their opinions on the Law on the execution of criminal charges and agreed to commute death penalty cases but to ensure the strictness of the sentence for criminals. They also agreed to choose lethal injection to death penalty cases instead of shooting as lethal injection helps relieve pains on criminals and psychological stress on executioners and reduce costs. Voters also proposed the State encourage the socialization of education and disseminate laws to help people better understand and live and work in accordance with laws. Many other opinions were given to the draft laws on food safety and consumer rights protection. Voter Le Van Minh from precinct 1’s Cau Ong Lanh ward emphasized the necessity to protect consumers before the consequences occurred. President Triet, who is accompanied by NA deputies of HCM City, confirmed that voters’ concrete and practical opinions proved their deep interest in building and completing the country’s legal system. Voters’ opinions will make practical contributions to the legal building process, he stressed. Sharing opinions with precinct 2’s voters on compensation, land reclamation and resettlement of the Thu Thiem new urban area project, the President advised local authorities and people to explore and listen to one another to find out solutions to the issue.